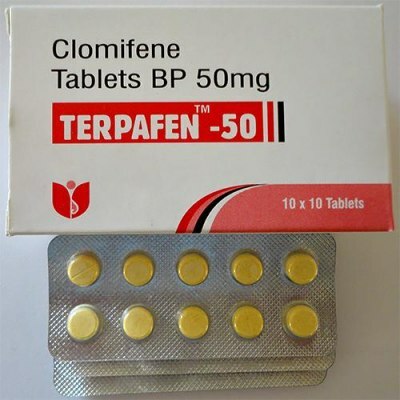 Clomifene (clomiphene citrate) iis essentially a drug that acts as a preventative measure against gynocomastia, as well as a drug that acts to raise endogenous (natural) testosterone levels therefor is compared with other antiestrogen - Nolvadex, for those reasons. 150mgs of Clomifene will still raise testosterone levels to approximately 150% of baseline value. Even doses as low as 50mgs will show clear improvements and elevations in testosterone levels. Clomifene is very safe for long term treatment of lowered testosterone levels - it's safety and efficacy for up to four months. Post-cycle, when steroid users are suffering form lowered testosterone levels (especially if one used testosterone based compounds), is when Clomifene is most effective. It's recommended to use 150mgs/day for ten days and and after that to decrease the dose by 50mgs every ten days until you're finished at day 30. That should restore your testosterone levels to normal. Effective dose(men): 10 days use 150mgs/day (3 tablets) next 10 days use 100mgs/day (2 tablets) and last 10 days use 50mgs/day (1 tablet); on mild cycles can be used as low as 1tab/day for 20 days or so. Bought this for my PCT. Combined with HCG and the nads were back on line in 4-6 wks. A "must have" for anyone serious about cycling and want to keep your gains. Kept approx 60-70% Of my gains that otherwise would have mostly wasted away without it.